known for her simple lifestyle and spotless career. When she was in June elected unopposed as the Lok Sabha Speaker, it was in a way a recognition of her rare brand of politics by all other parties, including the ruling BJP. It is not that Mahajan has not gone through the rough and tumble of politics, but she has managed to keep probity in public life. This could have been the reason for her being the instant choice of the NarendraModi-Rajnath Singh-Nitin Gadkari team for the coveted post. Known as Sumitratai (tai means elder sister) in her constituency and political circles, Mahajan first time contested for the Lok Sabha against Congress stalwart PC Sethi, former Madhya Pradesh Chief Minister. At that time, she used to live in husband Jayant Mahajan’s three-storied ancestral house in Nandlalpura colony of Indore city. 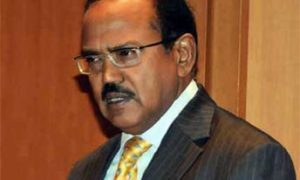 The late Jayant Mahajan was as simple as Sumitratai—he neither interfered in her political life, nor ever tried to enjoy the fruits of power. When Atal Bihari Vajpayee inducted her into his ministry in 1999 as Minister of State, a huge rally was taken out in Indore when she visited as Union Minister. After the rally and the tumultuous welcome got over, she and her husband were to go for a family function in the evening. A number of official vehicles with red beacons were lined up in the back lane of the Nandlalpura house. A police pilot car was ready to move. 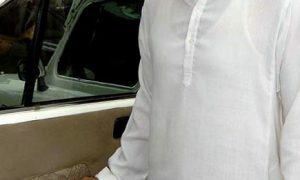 However, when Jayant saw the fleet of vehicles, he told his wife, “I am not going with you in any of these cars, Suman.” He then took out his Maruti car from the garageanddrove his newly promoted Minister wife to the function, rather than going in a piloted chauffeur-driven government vehicle. This simplicity can still be seen in Sumitratai. She is accessible to the people, attends to her phone herself and even after 25 years of political career without a defeat, has no airs. 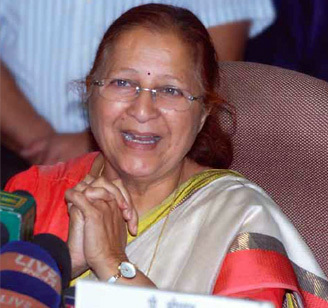 SUMITRA Mahajan (neéSathe) hails from Chiplun village of Maharashtra’s Konkan region. The kind of sanskars she imbibed in her mother’s house, were also present in the Marathi middle class family of Mahajans she married into. The Mahajan family was also close to the RSS ideology. She was initiated into politics by the BJP’s father figure, Kushabhau Thakre, who later went on tobecome the party national presidentin 2000-02.
by a minister from Indore and his MLA friend. Yet she won with a margin of over 11,000 votes, her lowest so far. Sumitratai is a voracious reader and likes to share books with others. On every Bhai Dooj—the last day of the four-day Diwali festival—she invites a large number of journalists to her home for lunch and gifts them books of top authors in Hindi, which include biographies and inspirational novels. She had organised an all-India Sahitya Sammelan in Indore in2000-01 and had also participated in the inaugural session of the Chiplun Sahitya Sammelan in 2012. The Chiplun function was inaugurated by the then Union Agriculture Minister, SharadPawar, who heaped praises on her for her value-based politics. Sumitratai also takes an interest in sports and social activities. She is the president of the Madhya Bharat Kho Kho Association, which successfully organised a national khokho championship two years ago in Indore. A graduate with an LLB degree, she has a good understanding of law. 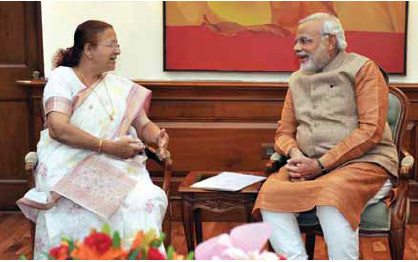 As Speaker of the Lok Sabha, her law background and her ability to be tough when the situation demands, will be assets. A devout follower of Ahilyabai Holkar, former ruler of Indore, she has instituted an award in Ahilyabai’s name and the recipients include well-known writer Sudha Murthy and the Dr Bang couple from Vidarbha. Her spiritual guru, Nana Maharaj Taranekar, used to call her ‘Ahilyabai’ and had blessed her, saying that one day she would reach the top and shine like Ahilyabai. That day, it seems, has finally arrived!